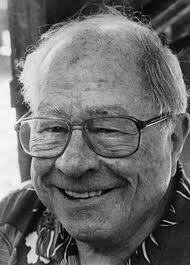 In the late 60s, Joseph Phelps was running one of the largest construction companies in the U.S. when he won the bid to build Souverain Winery (now Rutherford Hill) located a few miles outside of St. Helena. Enamored with the beautiful Napa Valley and contemplating a career change, in 1973 he bought the 600-acre Connolly cattle ranch in Spring Valley, and began planting vineyards. The winery was completed in 1974 and that same year the first Syrah was made, the first grapes were crushed at the new facility and the first of his famous Insignia wine was produced. Today, the Phelps estate consists of the Spring Valley Home Ranch outside of St. Helena, Banca Dorada in Rutherford, Las Rocas and Barboza vineyards in Stags Leap, Yountville Vineyard in Oak Knoll, Suscol Vineyard in South Napa, Backus Vineyard in Oakville and Larry Hyde & Sons Vineyard in Carneros. Beginning with the 2009 vintage, estate-grown wines include Cabernet Sauvignon, Sauvignon Blanc, Viognier, Insignia, Cabernet Sauvignon Backus Vineyard (the single vineyard Cabernet Sauvignon from Oakville) and Eisrébe, a dessert wine made from the Scheurebe grape. In addition, Syrah is produced from the Larry Hyde & Sons Vineyard in Carneros. Though the main focus is on Bordeaux varietals, Joe Phelps has had a life-long love affair with the wines of Burgundy and a desire to craft wines in that style. Originally Chardonnay was sourced from St. Helena, later from Yountville and then from Carneros. Through the years, however, Joe continued to search for the ideal spot to grow both Chardonnay and Pinot Noir, and his search ended when the perfect combination of climate, soil and location was found in Freestone, located in the Sonoma Coast AVA, a mere five miles from the Pacific Ocean. 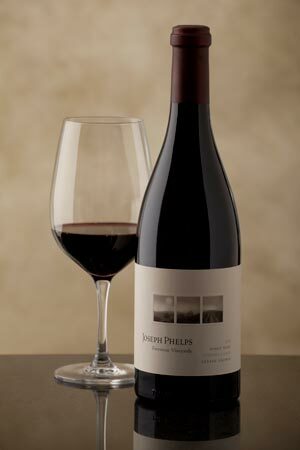 In 1999, Joseph Phelps Vineyards began developing 100 acres of vineyards just outside of Freestone on an area which used to be a dairy farm. Though the site was meant to be focused on Chardonnay, it turned out the site was actually equally or better suited to Pinot Noir. Planting began in 2000 with staged replanting until 2007. Freestone Vineyard Estate consists of three areas. The "Pastorale Vineyard" was planted to 34 acres of Pinot Noir and 21.7 acres of Chardonnay at the end of Freestone Flat Road. The Pastorale Vineyard was then joined by two other nearby vineyards following the acquisition of additional property: "Quarter Moon Vineyard" (41 acres of Pinot Noir), and "Ferguson Vineyard" (6 acres of Pinot Noir). A 40,000 square foot winery in the center of Pastorale Vineyard was built into the hillside and employs gravity-flow via its three level construction. Ripening grapes properly in this relatively cold climate is challenging and yields can be very low due to poor berry set in the cool days of the spring growing season. It is not unusual to have 45 degree temperature swings in the area. The first vintage of Pinot Noir produced from Sonoma Coast grapes was released as the 2004 Fogdog Pinot Noir. Fogdog is a bright or clear spot that appears in a breaking fog. This wine contained grapes from three estate-grown vineyards: 70% Freestone, 26% Quarter Moon, and 4% Ferguson. In 2005, 600 cases of Freestone Vineyard Sonoma Coast Pinot Noir ($75) were produced and in 2006, 2,700 cases ($75). The value label, Fogdog, was retained for both Pinot Noir and Chardonnay. Beginning in 2007, the high-end Chardonnays are Ovation, Freestone Sonoma Coast, and Freestone Pastorale Vineyard. The premium Pinot Noirs are Freestone Sonoma Coast, and vineyard-designates from Quarter Moon Vineyard and Pastorale Vineyard. The top blocks in the cellar are chosen for the Quarter Moon and Pastorale vineyard-designate bottlings and the remaining wine that is the more complex and structured is chosen for the Freestone bottling. The most fruit-forward blocks go into the Fogdog. With the small to medium sized Pinot Noir clusters, fewer whole clusters were used in the fermentations. Aged 14 months in 55% new and 45% two- to three-year-old French oak barrels before bottling on February 13, 2012. The 2010 season started with modest rainfall and cool to moderate daytime temperatures. Budbreak was nearly complete in the Pinot Noir vineyards by the middle of March. The unusually extended frost season lasted from April into late May but caused little damage throughout the Pinot Noir vineyards, due to the elevation and hillside slope. Cold air naturally continued its journey to the valley below. Bloom was completed by early June. Veraison began the second week of August and the majority of all blocks were complete by August 25th. The quality of the grapes looked excellent leading up to harvest and a warming trend in the latter half of September completed the ripening needed throughout the vineyards. Picking began on September 28th and finished well before the late October heavy rains descended on the region. The 2010 Pinot Noir growing season was slow and cool, producing exceptional fruit with uniform sugar and acid levels, making for ideal natural winemaking conditions. The finished wines are balanced and fresh with a distinctly Freestone spice element. The nose is filled with cherry, spice and oak. The palate is smooth and silky with earthy notes, raspberry, plum, black cherry, orange peel with toasted vanilla/oak. A long satisfting finish. My first Sonoma coast Pinot Noir and delicious! Now to try his much applauded Insignia wine!